Hey there friends, happy Monday! 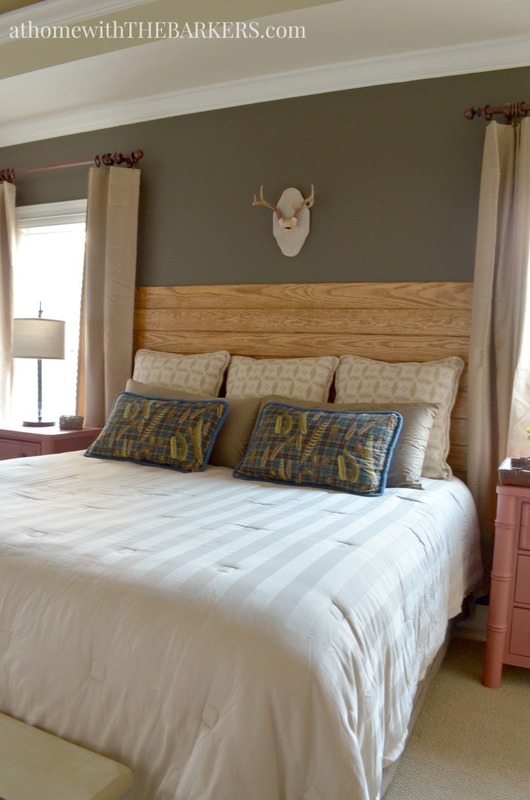 I missed posting my master bedroom makeover on Friday so I thought I would update you today. 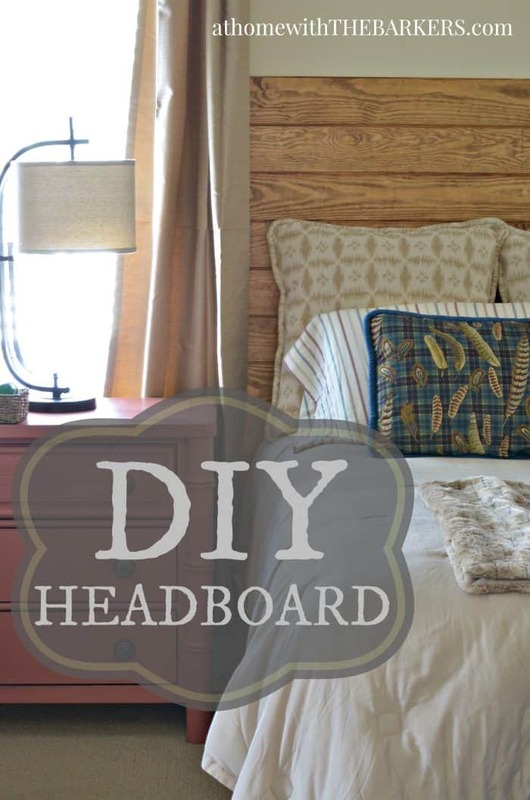 We are moving right along with our makeover and today I wanted to show you our DIY headboard that we have added. The weather has been terrible here in the south. SO cloudy that I was having a hard time getting any pictures of the finished headboard. We actually built it 2 weeks ago but once I was totally done the sun didn’t come out for many days. This room is already hard to photograph because I am facing directly into the window light and the cloudy days just made it too dark. My husband picked up the tongue and groove 6 inch wide pine boards from the home improvement store. 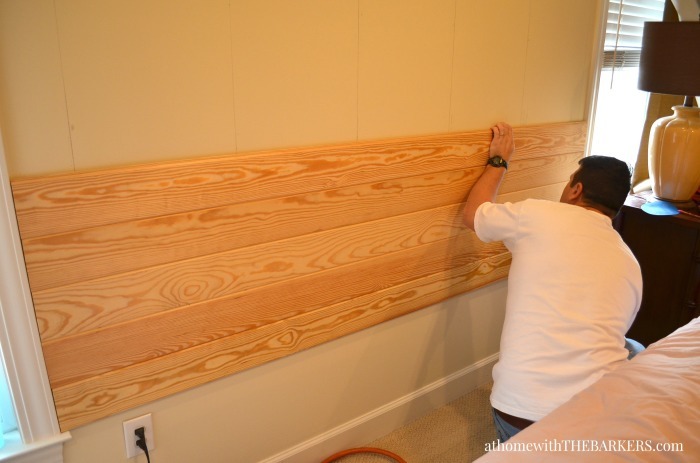 Depending on how tall you want your headboard you will need a different amount of boards. Also, we have a king size bed so we needed to buy the 6 foot long boards. 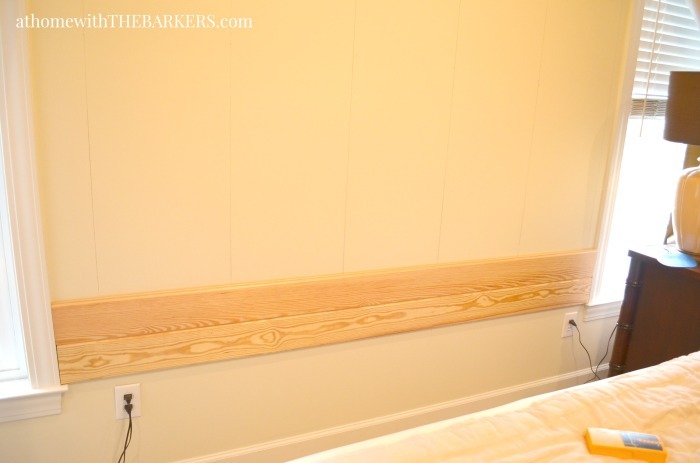 Our headboard fit between the windows so we used the framing as our line. 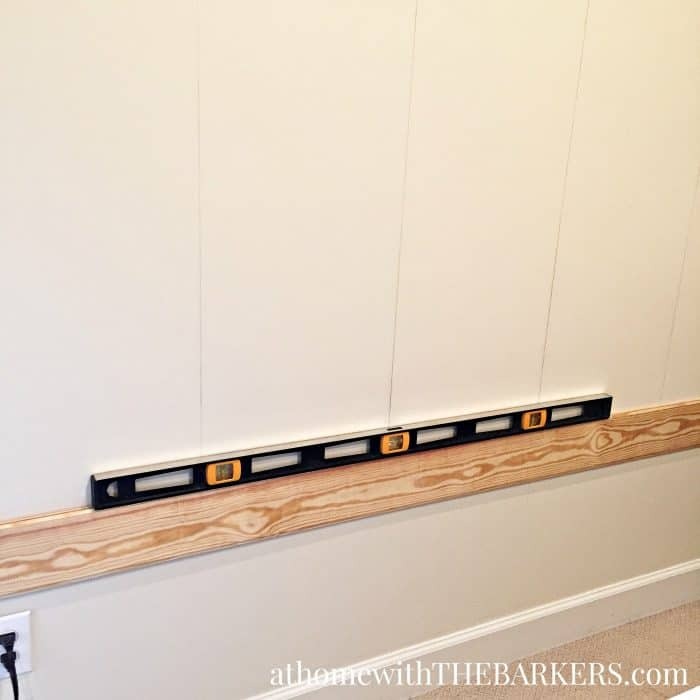 The most important 2 things about adding wood panel boards is to nail them into a stud and make sure they are level. If you get the very first board level you are good to go after that. 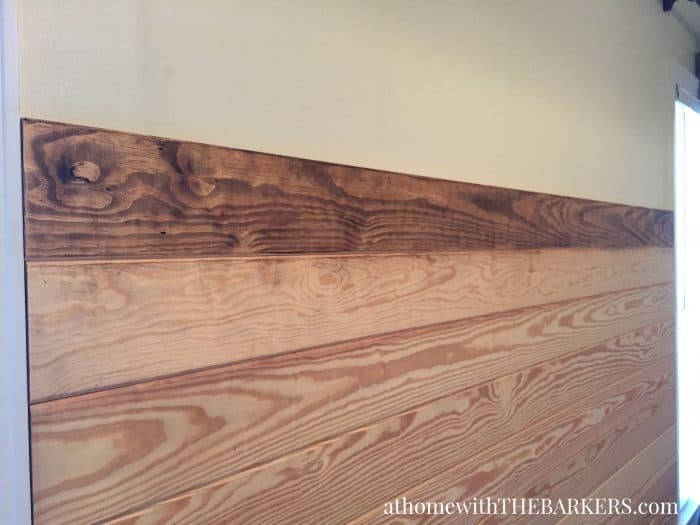 Mark you studs first, then start laying the first board. Now this part goes pretty quickly. 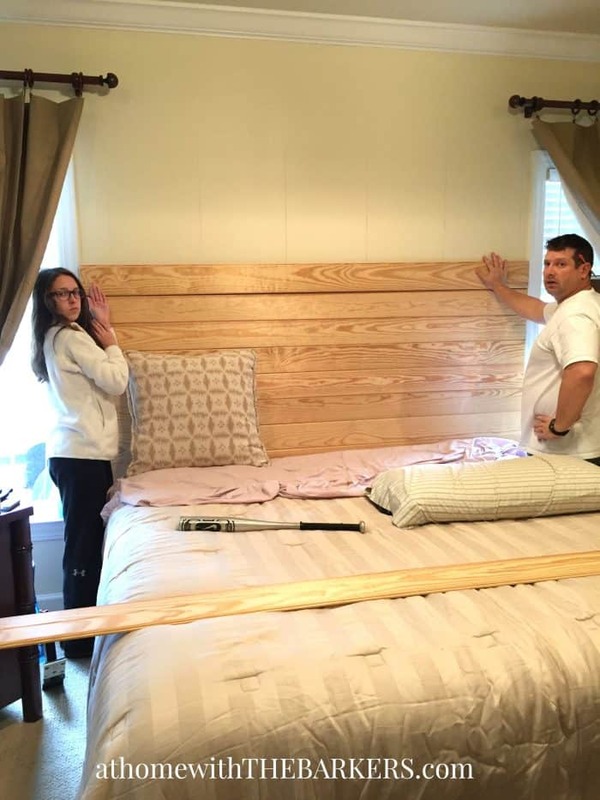 I knew I wanted this DIY Headboard taller than a traditional bed but until I could see it with pillows, I wasn’t sure exactly how tall. This is where they hold and I stand back and look, then text a couple of pics to my sister for a little reinforcements. This photo cracks me up…Y’all this is the look I get A LOT!! I was planning to stain it a darker color but not too dark. Then I decided to use my Annie Sloan dark wax and it turned out exactly as I had hoped. I love the color and how it feels to the touch. I wanted to be able to buff it some but not have that wax feeling so I buffed it as soon as I added it to the wood. I didn’t wait and let it set in. It still stained the wood perfectly! The room looks sort of yellow in the below picture but the one above is more accurate. I took some of these with my iphone so the light looks different than with my big camera. This is the view into my bedroom from the hall. I still need a bedskirt and to have the carpet cleaned but progress is being made. We are thrilled with the way this turned out and looks better than we had thought. I plan to just finish the room now and show you the final reveal very soon! For sure before the end of the month but hopefully sooner. If this is your first time to my blog, WELCOME! I’m so happy you have stopped by. 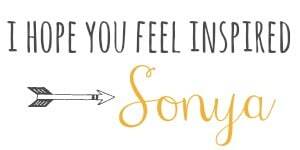 Love it Sonya. I’m impressed with how just using ASCP Dark Wax gave it that old wood feel. I must remember this trick. Looking forward to seeing the room reveal. Thanks so much! It is a great option to regular stain. Sonya this is fantastic. And I love the look that your hubby and daughter are giving you. I get that one on a daily basis too. Hilarious! 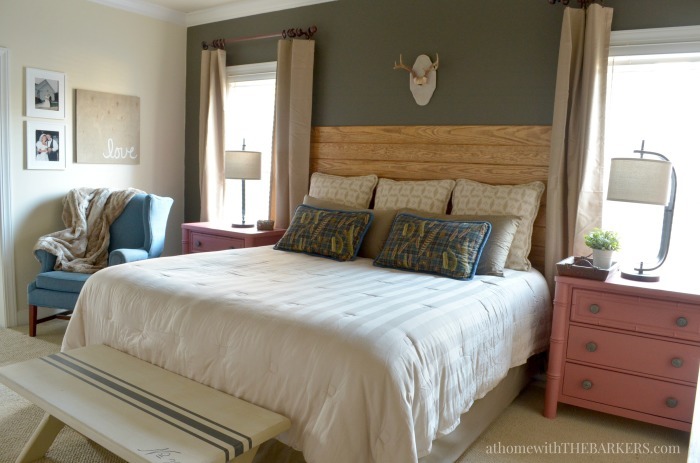 Wow, that headboard is gorgeous! And I love the fact that Annie Sloan wax gave it that beautiful effect. LOVE the woodgrain showing through. I can’t wait to see what you do with the rest of this space!! The look, it’s the best!! Wow, this turned out really beautiful. Kind of modern and fresh but still cozy. So clever to fit the boards between the two windows. Thanks so much…exactly the look I was going for Patti! I am loving this! Our bedroom has the same issue- our bed is between two windows and very hard to photograph so I feel you ha! It turned out beautiful. 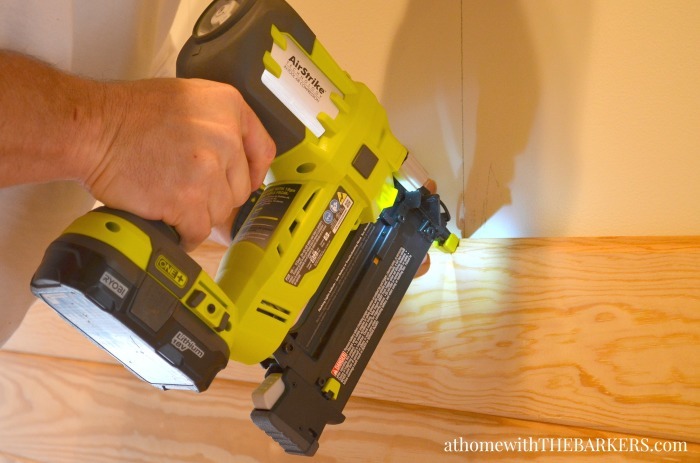 I would have never thought to try the dark wax on wood! I love how the headboard gives a strong looks of the bedroom, it is classic and elegant. Thank you for sharing this one. Love this! 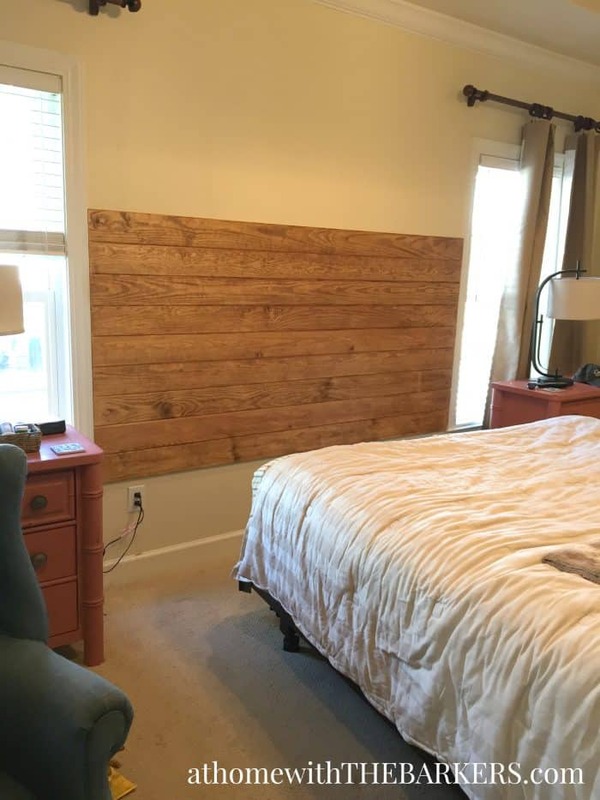 We’ve been throwing around the idea of creating a wood plank headboard for our master- but our bed isn’t flanked by windows and I’m not sure how to frame it out so it looks finished! I think you could get by with just straight edge cuts. We cut the tongue part of the board off of the top one so it would be a nice edge and it looks great.